It’s always very rewarding to see projects we’ve worked on being delivered. A number of schemes that we have guided through the planning process, sometimes for many years, are now nearing completion. 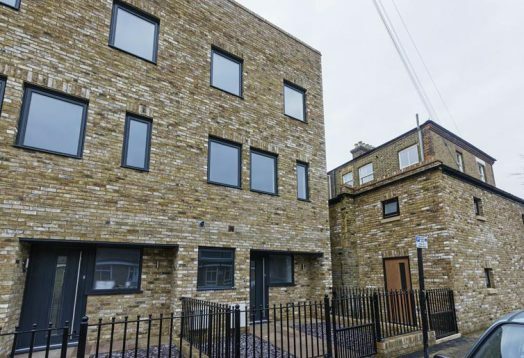 We are pleased to see that the project at Orford Road is now completed and is currently on the market. 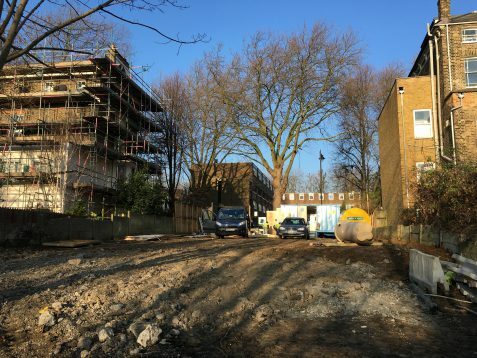 AZ Urban Studio led and prepared the successful planning appeal against the London Borough of Waltham Forest refusal to grant planning permission. The innovative design by Fourthspace architects optimises the development potential of this small and well-located site. See project sheet for more information. 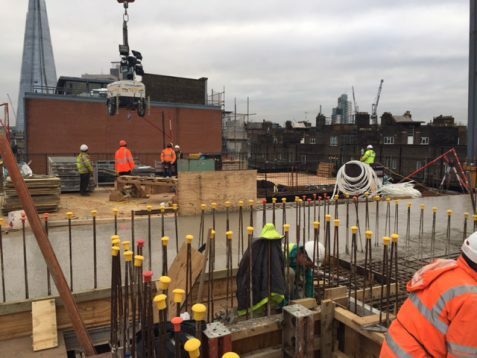 100 Union Street, a 2,000 SqM office building, located minutes from the Tate Modern, is currently under construction. The project, which is being developed by Lake Estates, is the final phase of the Union Square project. AZ Urban Studio has been involved in the project for many years as both planning consultant and development manager. It is a real testament to the team and client determination to see this great, AHMM designed building, being delivered. Please see the project sheets to see how we led the complex planning process as well as the development management of the early stages. Weston Street, another project AZ Urban Studio has worked on in recent years, is now nearing completion. The redevelopment of this site is close to our hearts, as it was for many years our company office. The stepped design of the main building is a great response by AHMM architects to the local townscape, where the scale of the Bermondsey Street Conservation Area meets the larger institutional buildings of London Bridge Hospital to the west. Although the main building is almost finished, our job isn’t over yet. We are helping the client with the broader redevelopment of this historic courtyard site. See project sheet for more information. Not quite as far on as the above projects, but it great to see 10 flats being delivered in Islington on Grosvenor Avenue. 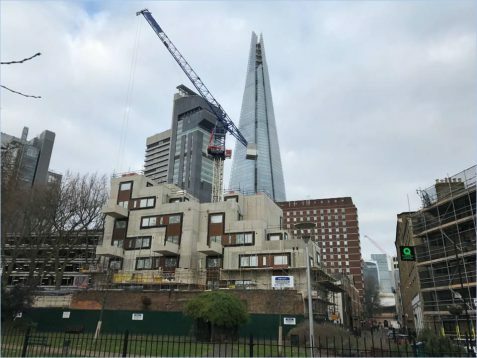 The demolition of the original building, a pair of derelict 1950s semis, is now complete and the client is starting on the ground works of this high-density development, designed by Fourth Space Architects. AZ Urban Studio led and prepared the successful planning appeal against the London Borough of Islington’s decision to refuse the application. See project sheet for more information.